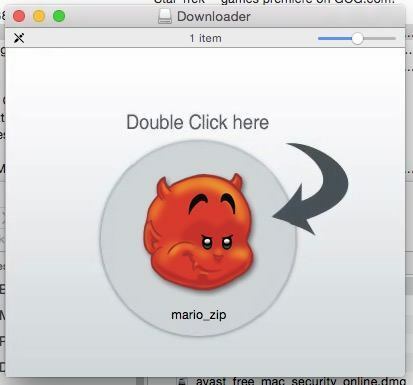 MacItNow and other adware is branching out from the PC world into the Mac world via browser extensions. Mostly these extensions just add annoying advertisements to your browsed pages, but they can in certain circumstances be a gateway for more serious problems. So what can you do if you suspect you have adware? 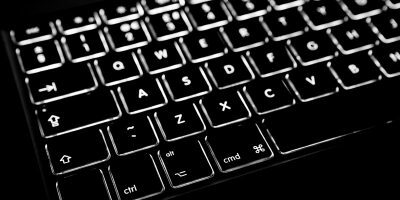 In this article, we ask what are the symptoms of a MacItNow “infection” and how can you remove this despicable and sneaky sales tool from your computer. Why call it an infection? Well, Adware is a spyware/malware variant which although it has an ostensibly benign purpose (inserting ads into your pages), it still invades your computer without your express permission and so should be regarded as an invader. 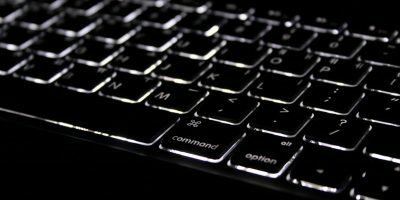 But worse than having inserted itself into your system, it can also be a convenient pipe for other types of spyware into your machine. Besides, it is incredibly annoying. 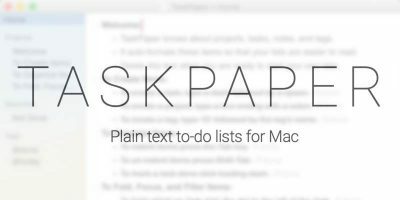 The symptoms of MacItNow is that you will find certain keywords in the text of your web pages underlined and highlighted. Hovering over the highlighted text pops up a link to an advert from a third party. 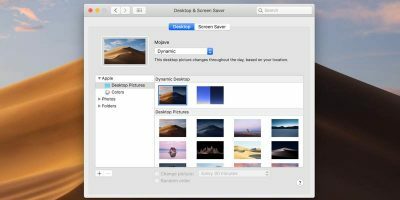 MacItNow commonly gets into your machine via “downloaders” or other “helpful” programs which seem to do nothing except assist you to download files. Of course, they are doing something else too. Websites use adware like MacItNow to monetise their sites, so the bottom line is to be very careful what you agree to download. That said, adware happens even if your browsing is pure. A good policy is that when installing software (and you are unsure of how safe it is) to choose Custom or Advanced install options so you can check any additional bundles being sneaked in. In any case, suspicious ads alone won’t be proof that you have the MacItNow adware, as this kind of obvious ad linking is sometimes hard coded into web pages of certain sites. 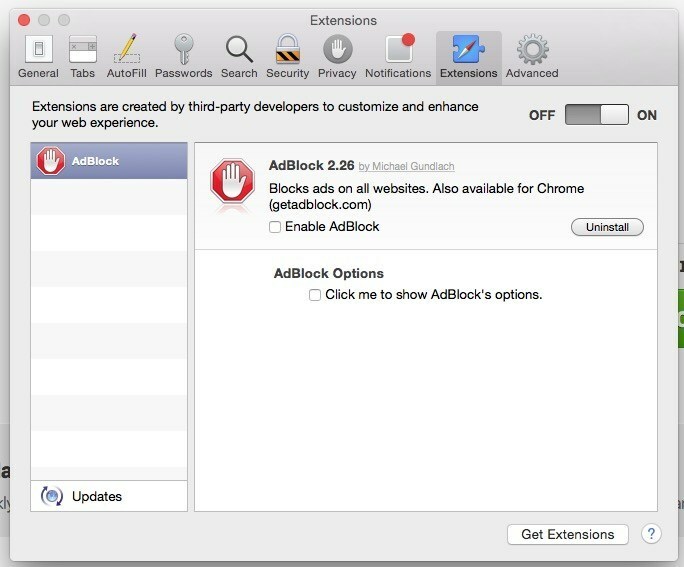 The adware version we are talking about functions as an extension to the browser you use, but we’ll go into removal for individual browsers in a moment. Your first port of call is to use an adware removal tool on a regular basis as part of your ongoing security routine. 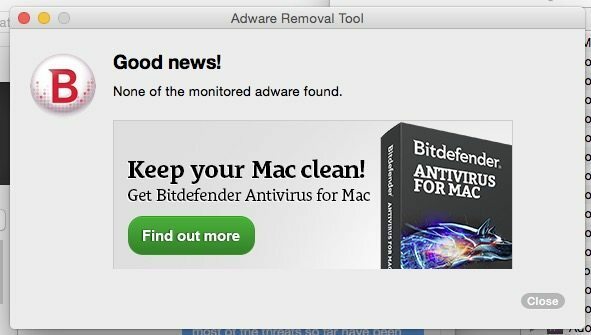 A well regarded remover is Bitdefender Adware Removal Tool for Mac. This is a good standard tool (and free!) which is easy to download and install and covers you for the basic threats. So the first thing to try is removing the threats automatically if you can without having to load and reconfigure every browser on your machine. Install Bitdefender Adware Remover and start it. Once you click the “Search for Adware” button, any browsers which are open will be closed, so make sure you’ve bookmarked any pages you were reading or have added them to your reading list before you do so. The software will now scan your browsers for errant extensions and delete them. It will announce when it’s finished. If that first step was unsuccessful, then you have to go deeper. 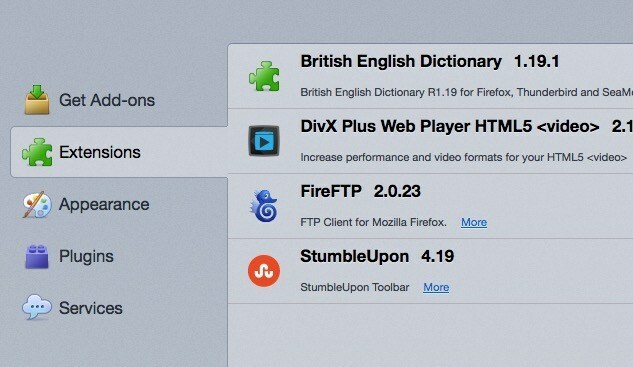 The final step is to remove MacItNow extensions from your browser manually. On all browsers: Check for an application called “MacItNow” and delete it. 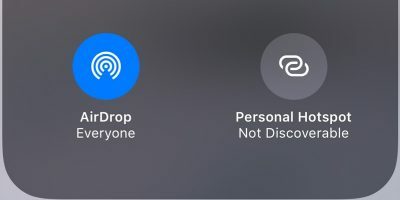 Obviously they are starting to rename the app as it’s too easy to find, but look in your apps directory for any suspicious apps. Do a little research on Google to confirm you’ve found a bad guy before you wipe an app you actually need. 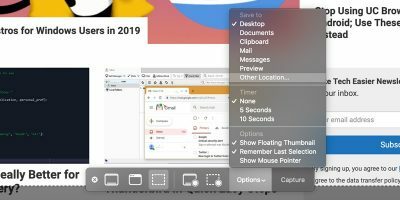 On Safari: on the Safari application menu, select “Preferences -> Extensions,” then Disable and Uninstall any suspicious extensions. 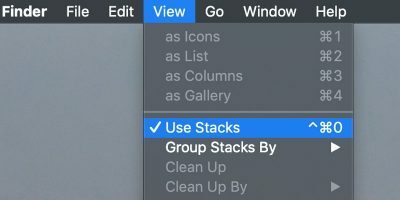 If you want to prevent any extensions being installed at all, move the Extensions On/Off slider to Off. Disable and Delete any suspicious extensions. 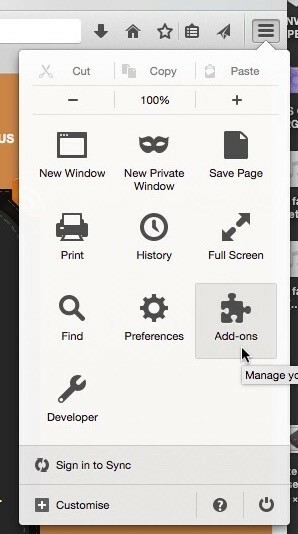 On Firefox: from the Firefox menu icon at the top right hand corner, select Add-Ons and click the Extensions tab. Once you’ve done that, make sure you check regularly for adware even before you get any alarming or annoying symptoms. 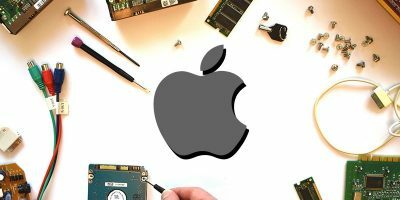 What have been your experiences of MacItNow and other adware on the Mac? Share your thoughts in the comments below. What do You Think of Microsoft's Plans to Not Release New Versions of Windows?